Join Laura Kasbar at TACA on October 20 and 21! Join hundreds of parents and professionals to learn the latest in research, treatment options and therapy for individuals with autism. 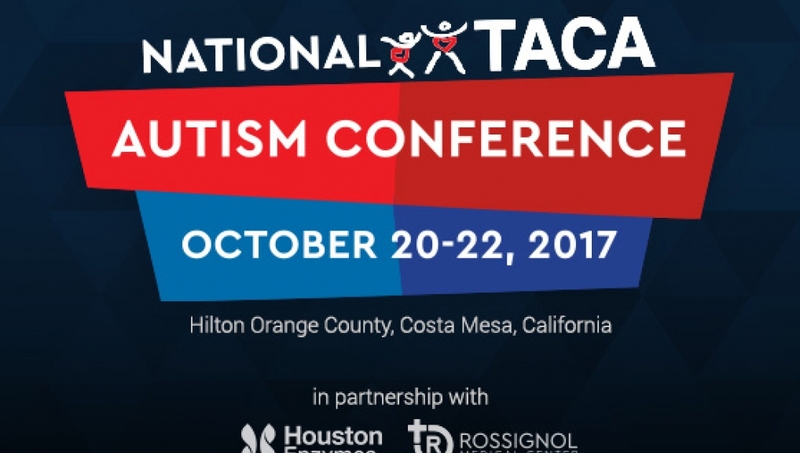 The National TACA Autism Conference will feature three days with three tracks of presentations to cover all aspects and levels of the autism journey. Topics will include special diets, therapies, beginner and advanced biomedical treatments, IEP, inspiration and much more. Whether your child is recently diagnosed or you have years of experience, you will walk away from the conference with a plan for the next steps for your autism journey.